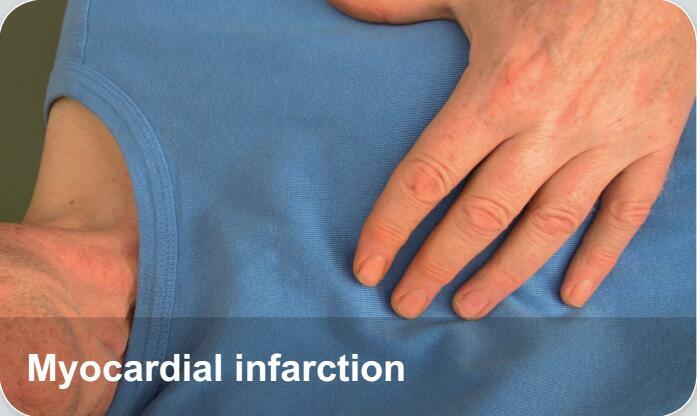 Myocardial infarction (MI) or acute myocardial infarction (AMI), commonly known as a heart attack, occurs when blood flow stops to a part of the heart causing damage to the heart muscle. The most common symptom is chest pain or discomfort which may travel into the shoulder, arm, back, neck, or jaw. Most MIs occur due to coronary artery disease.